Lately, I’ve been encountering a lot of disgruntled, discouraged and downright negative people who are part of the job-seeking world. I’m talking about the “community” (and I use that word loosely) of people from all professions, all economic levels, and all different personality types who share one thing in common … they are all seeking employment during one of the toughest economic climates in anyone’s memory. They attend meetings, networking events, and job fairs. They send messages via email, LinkedIn, Facebook and Twitter, and post comments on newsgroups and blogs. They talk to lots of people about their job searches, and they apply and interview for jobs! It’s not hard to understand why so many unemployed people have negative attitudes. No one enjoys being out of work, or being rejected or ignored or treated rudely by hiring managers, HR people or recruiters. Such things can certainly get a person down, and cause them to feel bad. That’s only natural. The problem is this: projecting a negative attitude is a self-fulfilling prophesy! Every interview, every networking conversation, every email or online comment transmits a message (overtly or subconsciously) to the recipient that says something profound about who you are, and what type of employee you’d be. We’ve all heard the advice to never speak ill of a former employer during an interview. The reasons for that should be obvious. However, beyond that simplistic advice, it’s much harder to suppress an overall negative attitude if it permeates and colors your entire outlook on life. Try as you might to “hide” sour grapes, if you feel it … it will likely come through. The bottom line is this: no one wants to hire or work with a negative person! I can’t tell you how many times I’ve encountered candidates who ooze negativism and discouragement. People with chips on their shoulders, who blame others for their plight and project negative vibes almost never get hired. This rejection then feeds their negativism, and the cycle repeats itself. I’ve coached thousands of candidates for interviews during my many years as a recruiter. If there’s one thing I’ve learned about the interview process that holds true for almost every industry and every position, it’s this: the number one most important factor that determines who gets hired and who doesn’t is NOT who is best qualified, who has the most experience or skills, or who has the best résumé. It’s attitude! People hire other people that they like, and want to be around. Real enthusiasm for a position or a company, true passion for your work, a sense of humor, and a genuine projection of positivism and optimism are the qualities that make a person attractive to others. It’s nearly impossible to fake those qualities. I wish there was a magic button to push that would transform a negative person into a positive one. It’s certainly not that simple. It is, however, an incredibly important issue for every job-seeker to think about and to try adjusting within themselves. Entry filed under: Advice for Job Seekers. Tags: job-seekers, unemployment. I went in for an “informational interview” and 1.5 hours later, the department head offered to create a position for me if I was interested. She said that although I didn’t have the ophthalmic photography background – she was willing to train me on-the-job! She made the statement that she could always teach someone how to do this type of photography, but she couldn’t teach them to have a good, positive attitude. She stated that working directly with patients – that would help me get the photos the doctor needed by putting the patients at ease. So always show a positvive attitude in ALL communication with your prospective employer starting with your cover letter, phone calls and job interviews. Absolutely agree re: the number one most important factor (in Life) is attitude! People hire (help, hang with, etc.) other people that they like, and want to be around. 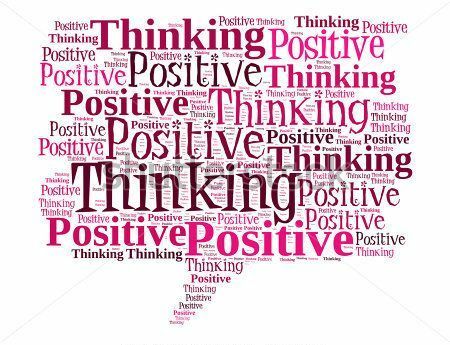 One must always remain positive because the ‘Law of Attraction’ is ALWAYS at work. The Law states: I attract to myself, whatever I give my focus, attention, or energy to; whether wanted or unwanted. That’s why Daily Affirmations MUST be positive and repeated. The attitude issue goes without saying. Job hunting is a sales process, and a good salesperson succeeds on the back of his/her attitude. I am also ‘in transition’ and the market is very tough indeed. It is hard to maintain a positive attitude constantly. My advice to people who do not have this attitude at a given moment is to do something else until you get the attitude back. I find that I am usually pretty upbeat when it comes to interviews, I’m very glad to have got one! If a person never has a positive attitude, this could be a sign of depression which may require a different kind of attention. Liam: I would agree that depression requires professional help. However, there is a huge difference between someone with a negative attitude and someone who is clinically depressed. While one may lead to the other, there are plenty of otherwise mentally healthy people who are just generally negative. This is my first visit to your blog. It is very well done. Keep up the good work. I totally agree that a positive attitude is the most important thing while searching for a job, especially during the interview. And it is important overall because it does come through. Thanks for sharing this. Also there are always going to be times when it’s hard to stay positive. I agree, Liam, that it’s best to do something else until you get it back. Sometimes a visit with a friend, reading something inspirational or just a good night’s sleep can help. Remember the story about the man with no shoes. He felt badly until he met a man with no feet! We’ve probably all heard that one, but what I want to say here is that remembering to count your blessings is helpful, too. If you are able to read this, then you have sight, you have use of a computer, you have Internet and you have a working mind. That’s four for starters! A little silly, but if it made you laugh or smile … then you’re off to a good start. Again, thanks for the post and very helpful comments! Thank you for sharing some “secrets” with us. I found the content of your blog to be very interesting and helpful . First of all, Happy New Year! Secondly, I wanted to say that I loved your article on “Nuggets.” Thank you for offering your insights. I learned a lot from your advice. I just wanted to also add that I am feeling positive this year. I have already had 3 calls for temp positions beginning this week. Things are changing for the better. Michael…you always hit the nail on the head when talking about a job search. Keeping a positive mental attitude I found to be the most difficult hurdle when I was in a job search. However, I eventually learned to adjust my attitude. I decided to stop looking for a job and instead see who I could “help” with my skills and experience. It took a lot of pressure off of me. I interviewed differently because I was genuinely interested in helping prospective employers with their problem, not mine. Thank you very much for your, beautiful Interview tips.